Sometimes I get questions about my patterns that are like the person is asking permission to make a change to how the they work the pattern. 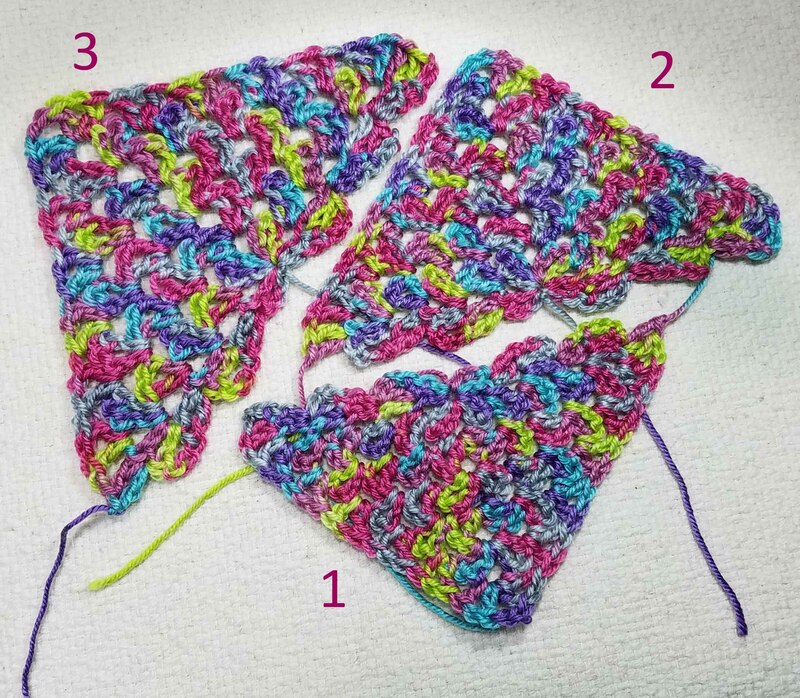 Here is the thing…if you want to crochet a project that looks very close to my sample in the photos…you need to follow the pattern as it is written; same yarn (could be a different color), same hook, same gauge. The pattern instructions I have written are to guide you in making a project very similar to the one I made. But you don’t need permission to take things in a different direction, there are no Crochet Police. For myself pattterns have always been just a suggestion. A place to start, but not necessarily the place I’ll end. My mother has often said that I have never followed a pattern. I guess that is part of why I became a designer. I think that some of my attitude toward patterns comes from sewing so much. Especially when sewing clothing, adapting the pattern to get the right fit is typical, most sewing patterns even have notes of where to adjust for size changes. No one sees any thing odd about this, though many of us feel overwhelmed by the challenge. I’ve been asked how I learned to make those modifications in crochet. The simple answer is, a lot of failures. I experiment all the time, and only 10% of those experiments become part of a design that will be published. The best advice I can give (and not just about crocheting) is “Don’t be Afraid of Failure”. If you really want to hone your skills on adapting garments for fit, I recommend taking a sewing class. Most will cover fitting, and if you already have the basics of sewing, you will quickly see how you can apply these ideas to your crochet garments. For a more gradual approach to modifying patterns try playing with substituting yarns. We yarnie types tend to accumulate yarn stashes over time, and wanting to work with the yarn you have on hand is understandable. It just means you need to a have a bit of flexibility in your approach to the pattern you are subbing with. Using a heavier weight yarn and still trying to match the pattern gauge is a really bad idea. 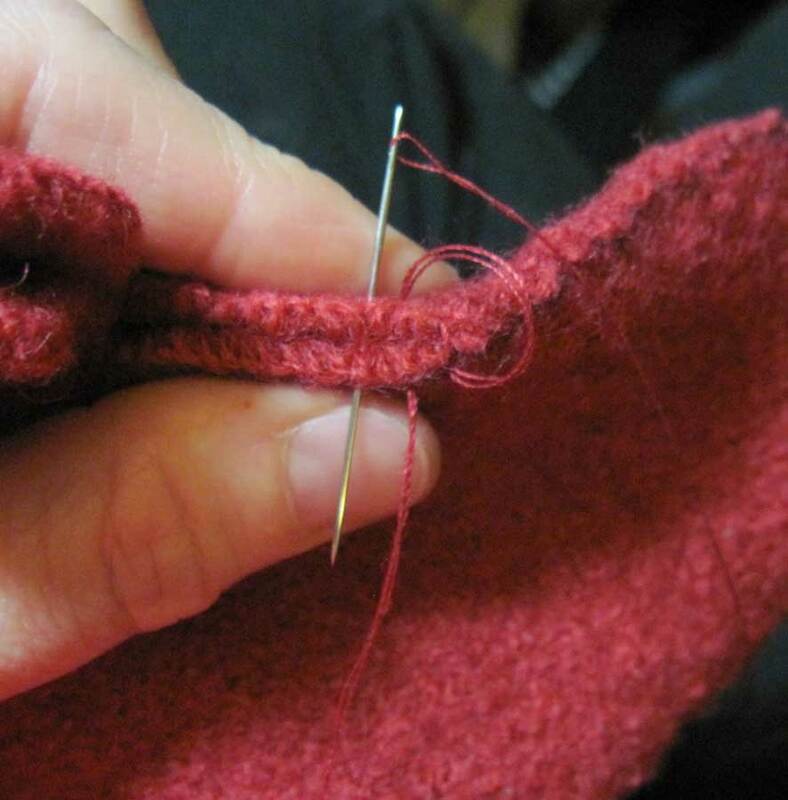 Instead you will want to experiment with increasing the hook size appropriately to the weight of the yarn you have picked. You may have to fiddle with the dimensions of your finished project to get things to come out as desired. Also keep in mind the fiber content and tightness of the twist for the yarn you’ve picked. If it is very different from the yarn in the original pattern, you may be surprised by the results. Sometimes this is a pleasant surprise, other times not so much. When substituting yarns your best friend is the swatch. For 3 swatches above I was trying out different size hooks with the same yarn to see which fabric I liked best. I know many crocheters hate to swatch, but it can save you a lot of heartache down the road. Working a swatch that is approximately 6×6 inches is usually enough to give you a feel for what the fabric is going to be like in a larger project. If there is intense blocking needed it is a good idea to block your swatch to see what result you will get. For many of my design swatch experiments I often don’t cut the swatch from the ball of yarn. Instead I place the remains of the ball in a ziplock style bag sealed over the working strand. Then I handwash, spray and/or pin for blocking to see how the yarn responds. If it’s all a bust, I’ll eventually carefully unravel the swatch and rewind it on the original ball of yarn. Now you have a few of my tricks to try out it is your turn to begin experimenting. Remember to enjoy the journey of discovery, after all crocheting is supposed to be fun.